Serves children, adults, and families with disabilities through service coordination, skills training, social activities, and advocacy. Provides home-based service facilitation if approved by Illinois DHSDD. New programs include behavioral modification and group and individual counseling for children and adults with special needs. Referrals may be required from Access Services of Northern Illinois to access certain services. No or sliding scale fees depending on programs. M-F 8:15-5. Our program provides diagnostic, educational, and community resource and information for children with an Autism Spectrum Disorders. Screening and Diagnostic services carried out by diagnostic professionals including a psychiatrist, psychologist, occupational therapist, and speech therapist and a comprehensive team approach including use of the Autism Observation Diagnostic Scale. Our staff also provide clinical services including Family Focus Consultation, Social Skills Group, Family Consultation and Educator Consultation. These services are designed to support parents and providers to help understand ASD, wrapping the support around the care provider to help identify and meet the needs of the individual with ASD and the family. Our staff also provides training to first responders, early intervention providers, day care providers, parents, family members and educators. We also can adapt our training to meet the needs of the participants. Finally, our Autism Family and Community Resource Room is an inclusive, one-top, trusted resource with ASD information and services across the life span. No fees. Call for current waiting times. M-F 8:30-5. Weekend and evening appointment available by appointment. Autism Support Home Services provides in-home Applied Behavioral Analysis (ABA, with Board Certified Behavior Analysts) and respite services to Northern Illinois and Southern Wisconsin residents. Technology supported collaborative communication is used to ensure evidenced based and individualized treatment. Accepts major private medical insurances, Medicaid Waiver 56U, and self pay. Regional office providing multiple programs and competitions for special needs athletes. Offers specialty/therapeutic programs for children with special needs via NASR as noted above. 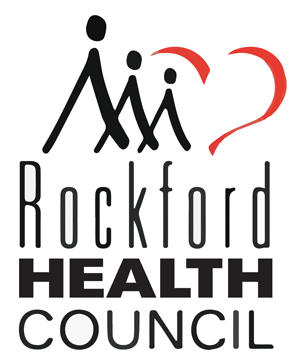 The Therapeutic Recreation team of the Rockford Park District is committed to providing community based recreation to promote the development, maintenance, and expression of a meaningful leisure lifestyle to people with disabilities. We deliver our services promoting and/or providing access, inclusion, specialty recreation, leisure education, and skill development. Catch the Wave is dedicated to serving the community by developing water safety skills and services that improve health and quality of life. Learning to swim is one of the greatest gifts we can give ourselves and/or our children. Catch the Wave Swim Club will provide the skills necessary for each child to be safer in and around the water. Our specialized autism swim program uses firm and direct instruction with high praise and reward as well as visual aids and other effective techniques practiced by top autism swim programs in the United States. Together we can create a fun and safe environment in and around with water for children with autism. Accepts both typically developing children and children with certain special healthcare needs, including physical and cognitive disabilities (call to discuss). The purpose of the Illlinois Respite Coalition-Lifespan Emergency Respite Program is to offer funding and resources to support caregivers of adults with special needs or children with special needs with an urgent need for respite care in the absence of any other funding source. They also focus on creating a one stop shop for those who need respite care in Illinois. To learn more, visit their website and click on your county on the map for more information. Licensed DCFS day care home specializing in care for children with intellectual disabilities age one month through 12 years. Small provider to child ratio with DCFS approved assistant. Mission Statement: To provide quality care to children in a nurturing, educational, and enriching environment. Provides weekend hours and respite care for families as needed. Located in northwest Rockford, Illinois. Visit http://www.cooperativeresourcing.com for more information. o The family does not receive other state services such a Home Based Support, Person Assistants, Child Care Grants, or Office of Rehabilitation Services (they may receive up to 20 hours of ORS Respite). All families who participate in the Milestone Individual Respite Care Program are eligible to participate in Milestone’s Group Respite sessions free of charge. Group Respite is held twice a month at the Milestone Training Center. The Respite Program is conducted in a large gym. A wide variety of different sensory, fine and gross motor activities are provided. Trinity Services, Inc. and The Hope Institute for Children&Families are collaborating on a community based program called the Illinois Crisis Prevention Network. At the direction of the Department of Human Services (DHS), the Illinois Crisis Prevention Network consists of highly trained professionals with extensive experience in the social service community. The teams are made up of skilled clinicians who work with individuals with severe behaviors and are struggling to maintain in their current home or placement. These behaviors can be difficult for families or staff to work with, disrupt their environment and can take an emotional toll on everyone living or working there. Team members can provide strategies to reduce or eliminate these behaviors, training for staff or caregivers to cope and work effectively with the clients and help locate resources in the community. The ultimate goal is to move from crisis management to crisis prevention. Key services provided by HSP include personal assistant services, such as help with bathing, dressing, cooking and other daily tasks, as well as home modification and nursing care. The Secondary Transitional Experience Program (STEP) is a training/placement program that helps students with disabilities prepare to transition to employment and community participation during and after high school. Students learn to become productive, self-sufficient adults through a variety of STEP experiences. Assist students in developing desirable work habits and realistic career goals; provide opportunities for students to explore careers; offer meaningful work experiences through on-the-job placement; encourage students to develop the social and personal skills needed to maintain successful employment. Rockford regional office to apply for disability benefits. M-F 9-4. Residential program for children age 5-18 years with a primary diagnosis of autism and/or developmental disability. Serves both ambulatory and non-ambulatory children. Offers Applied Behavioral Analysis by certified therapists for residents. DHS funds placement if approved. M-F 8:30-5. 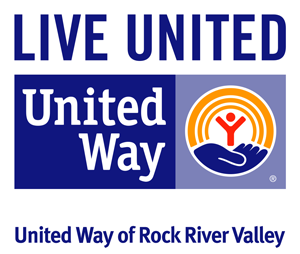 RocVale is a residential facility for children with a primary diagnosis of developmental disability and requires a referral via Access Services of Northern Illinois. Offers many programs and services, including 24 hour medical staff, dietician, behavioral specialist, and consulting psychiatrist and psychologist. Children attend school in their primary district. Funding arranged via Access Services of Northern Illinois. Main office open M-F 8-4:30. Residential program for non-ambulatory children with severe intellectual disabilities. Skilled Pediatric Nursing Facility (IDPH and ISBE certifified) with on-sight school. Daytraining program for young adults 21+. Birth-any age. Medicaid funded. Open 24/7.